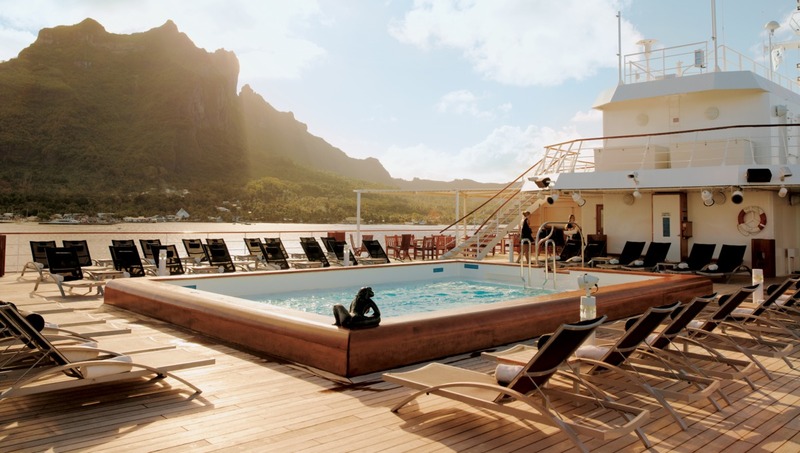 There are so many reasons to choose a particular cruise itinerary, and for many, a strong interest in art and culture is a driving force when choosing where to go next. The opportunity to visit galleries and museums and soak up the culture is a key feature of a number of popular itineraries such as the Baltic, Mediterranean, or Canada and New England, on all of which you can expect to find a veritable treasure trove of works of art. What's more, many cruise lines have amazing collections which make their ships something of a gallery in their own right, sometimes featuring the owner's private collection, or pieces specifically bought to display on that particular ship. 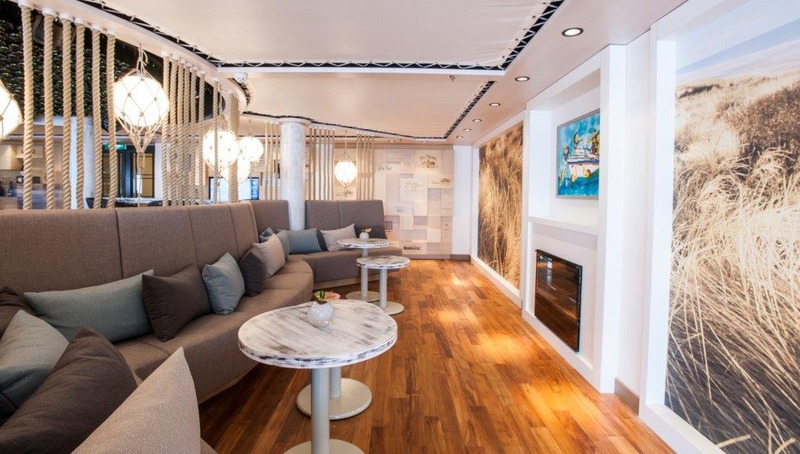 A cruise on Hapag Lloyd's beautiful Europa 2 should definitely be on your 'to do' list whatever your interests, so if you have not got round to trying it out yet, here is a great reason to do so - a cruise dedicated to art, departing from Hamburg to Lisbon in October 2017. With renowned art experts on board and exclusive museum visits, you can enjoy lectures and discussions on board and some great visits ashore. 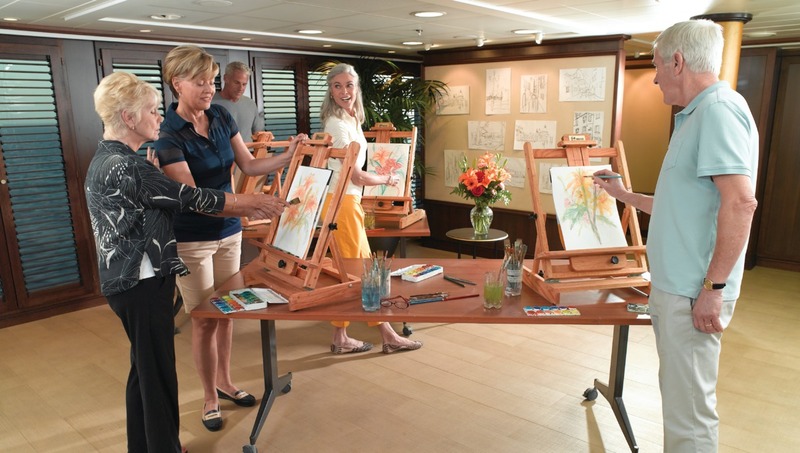 Furthermore, you will have time to enjoy the art on board, with over 800 original works of art, some of which have been especially created for specific locations on the ship. With work by significant contemporary artists such as Damien Hurst and Gerhard Richter, there are also regular exhibitions to be visited in the gallery. Oceania's Marina and Riviera are packed with original works of art personally selected by the founders Frank del Rio and Bob Binder, who joke that they were supremely qualified to put the collection together. "We just bought what we liked. And of course it had to fit the space…"
Whether you are a critic, an expert, or a complete novice to art, you will like some if not all the pieces in the collection, which are eye-catching, amusing, moving, provocative, even extraordinary. What's more, if your interest in art inclines more toward the practical, you can visit the Artist Loft where talented artists-in-residence offer step-by-step instruction. The courses change continually and are designed with every level in mind. 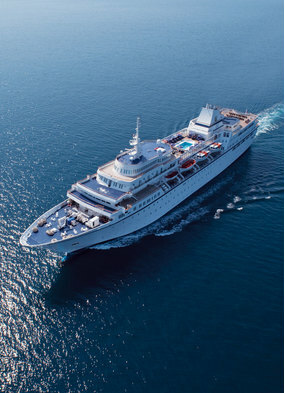 For something rather different, we have a wonderful opportunity to learn more about the extraordinary art and culture of Fiji and other South Pacific islands on board the Paul Gauguin in June 2017, when she sails on a 12 day voyage from Fiji to Papeete. Guest lecturer on board Steven Hooper, Professor of Visual Arts at the University of East Anglia, specialises in the arts of the Pacific region, with a special interest in the relationship between Polynesian material culture, chiefship, valuables and exchange. He is curator of the exciting new exhibition Fiji: Art and Life in the Paciific, to open at the Sainsbury Centre in Norwich in October. The exhibition will bring together beautiful historic objects such as wood sculpture, bowls, canoes, weapons, large painted barkcloths and newly crafted objects made of shell and whale ivory, as well as examples of contemporary art. Among the highlights will be a specially commissioned 26-ft sailing canoe and barkcloth wedding dresses. Over 250 objects, paintings, drawings and historic photographs will celebrate Fijian creativity and the important place of art in Fijian culture. We have special rates to join Professor Hooper on this unique voyage, so call us now on 020 7399 7670 to secure your place on the cruise, or indeed for more information about the exhibition.